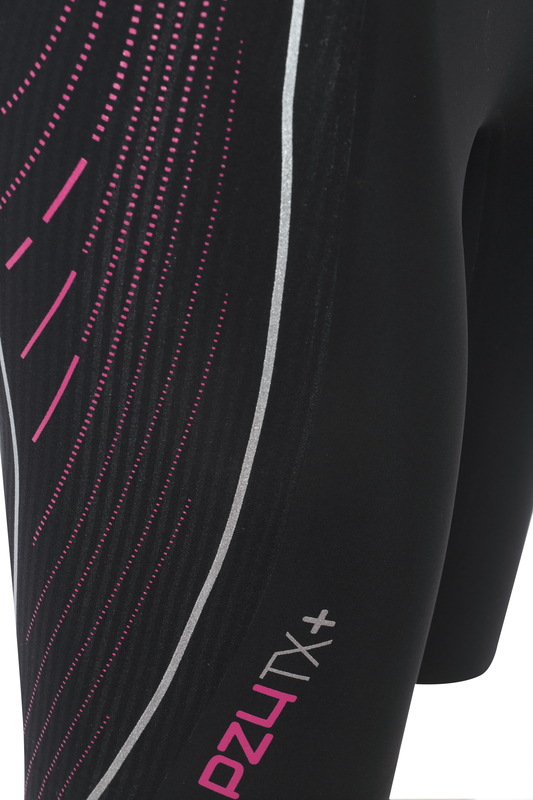 The PZ4TX+ furthers our drive to maximize performance in non-wetsuit swims. Over a year of extensive testing with professional and amateur athletes has produced a short sleeve version of our industry-leading PZ4 that meets the demands of the sport's elite. We've hand selected the Italian fabrics featured in this suit from renowned textile manufacturer Taiana. They were developed for our competition pool suits with hydrophobic qualities built into the yarns. These fabrics are infused to repel water instead of after-market coatings that can lose their water repellency over time. The development of the short sleeves was conducted over countless hours of testing with and without a tri suit underneath to ensure an excellent fit, flexibility and improved hydrodynamics in the water. 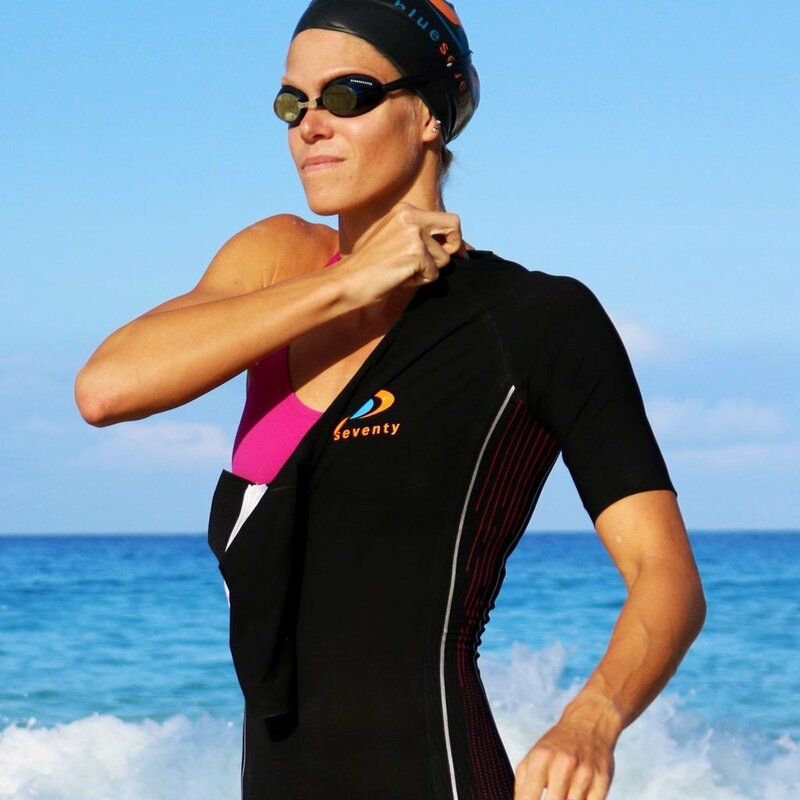 Long cut short sleeves provide additional skin and compression coverage for faster swims. 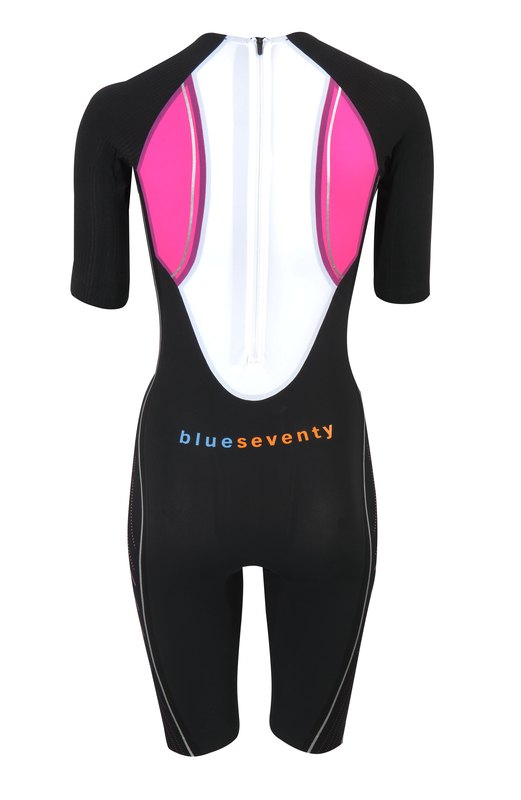 ** IRONMAN (WTC) specifies a water temperature of 76 as the cutoff for wearing a wetsuit. 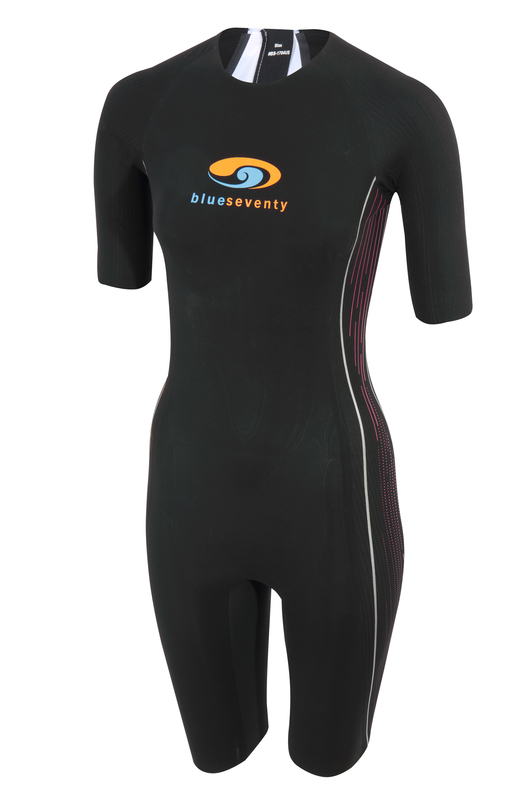 Related links to "blueseventy PZ4TX+ Swimskin W"
Customer evaluation for "blueseventy PZ4TX+ Swimskin W"